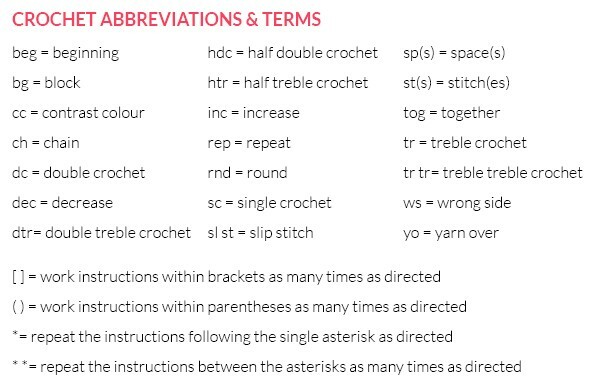 The symbols listed below are the standard crochet symbols and abbreviations. When possible the names are given for each symbol with both UK and US terminology. 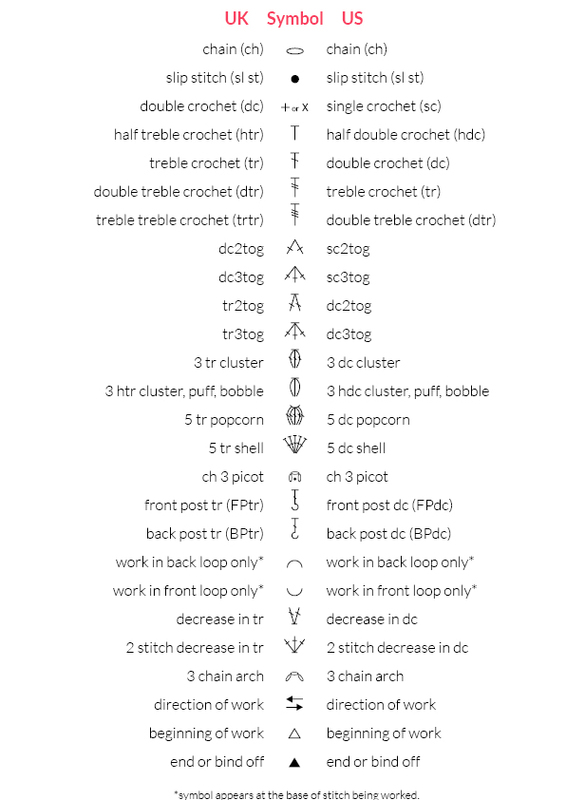 Please refer to your pattern key for any additional symbol directions.